Here's a link to PAINTED SAINT, the title song from the film NIGHTCOMER starring Mackensie Rosman and Timothy Busfield. 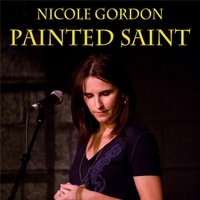 Nicole Gordon adds her dark soulful performance to this beautiful haunting song. Right now it's only available as a digital download. I've also posted some cues from the underscore. Enjoy!